VR Zone spotted AMD's E-450 APU at Computex. 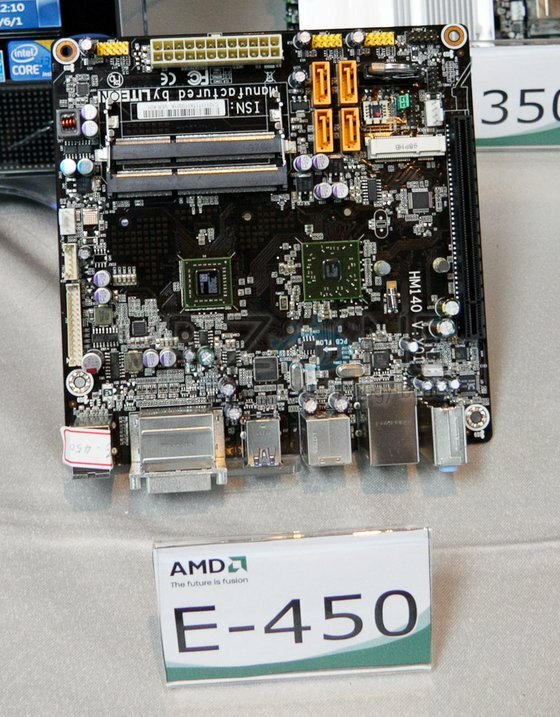 We spotted an E-450 motherboard at Computex in PowerColor's booth. PowerColor's main business is graphics cards, but it seems they have decided to make some Fusion motherboards as well. This board looks like an early sample, and also appears to have either a mini PCIe or mSATA connector.